The Global Plastic Films and Sheets Market is expected to reach USD 157.5 billion by 2025, according to a new report by Hexa Reports. Rise in the global consumption of sustainable textiles has been a major factor driving market growth. Growing demand from application industries and rising prominence of eco-friendly and water soluble films have increased the utilization of plastic films and sheets in the global market. Plastic film and sheets have attained significant popularity in applications across various industries. Active lifestyle, demographic changes and rising sustainability trend has been spurring innovation & development of plastics, thus, providing marketing opportunities in key sectors including consumer goods and food & beverages. Robust manufacturing base in the global market coupled with growing demand in emerging economies of Asia Pacific and Central & South America is likely to augment the demand in the global market over the forecast period. LDPE/LLDPE was the largest product segment in 2016 and is expected to witness a lucrative growth rate over the forecast period. 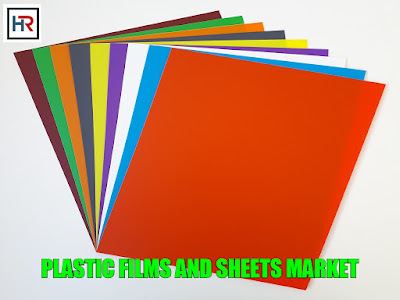 HDPE films and sheets segment is also anticipated to observe lucrative growth rate by 2025. Unique properties of HDPE sheet include abrasion resistance, good electrical properties, low friction coefficient, chemical & corrosion resistance, moisture & odor resistance, and high impact strength. HDPE is widely utilized in food packaging industry and is FDA approved, borated HDPE is used on nuclear facility applications as it offers strong radiation protection. The global demand for plastic films & sheets was 46,343.9 kilotons in 2016 and is estimated to ascend at a CAGR of 4.0% from 2017 to 2025. Asia Pacific dominated the global market in 2016, followed by Europe. Emerging economies in the Asia Pacific region including India, and China, have been experiencing strong economic growth in various application industries, resulting into augmented demand towards plastic films & sheets market. LDPE/LLDPE emerged as the largest product segment in 2016. Their common applications include food packaging, textile packaging, and other special applications in tents and outdoor equipment. Asia Pacific plastic films & sheets market is anticipated to witness promising growth over the next nine years owing to several technological developments, especially in the food & beverage and pharmaceutical industry. In terms of revenue, the regional market is expected to progress at a CAGR of 6.7% from 2017 to 2025.